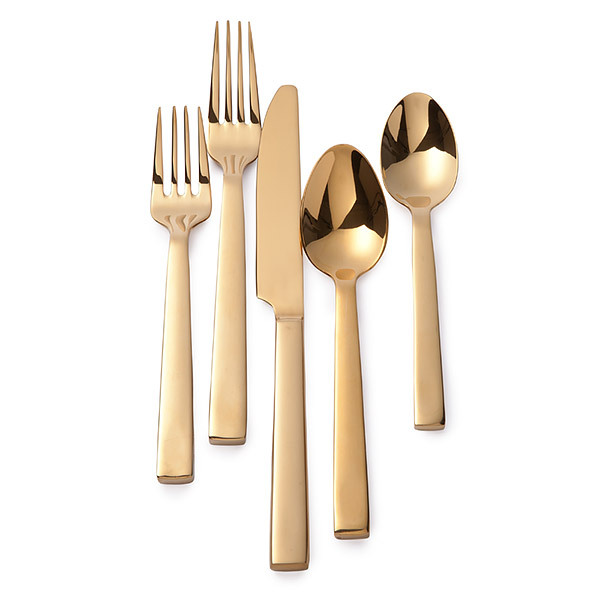 Five-piece set includes a knife, a spoon, a soup spoon, a salad fork and a dinner fork. 18/10 stainless steel. Imported.